We’ve already experienced a rapid transition from traditional paper to digital material in almost every aspect of our lives. For example, we replaced heavy office folders with simple flash drives. Our calendar, to-do list and address book are now just a click away. When it comes to business, transforming your printed material into a online flipbook will help your message spread faster and further. This will, naturally, result in more customers and more sales. Attention span on the internet is dropping fast, falling from 12 seconds in 2000 to only 8 seconds in 2015. 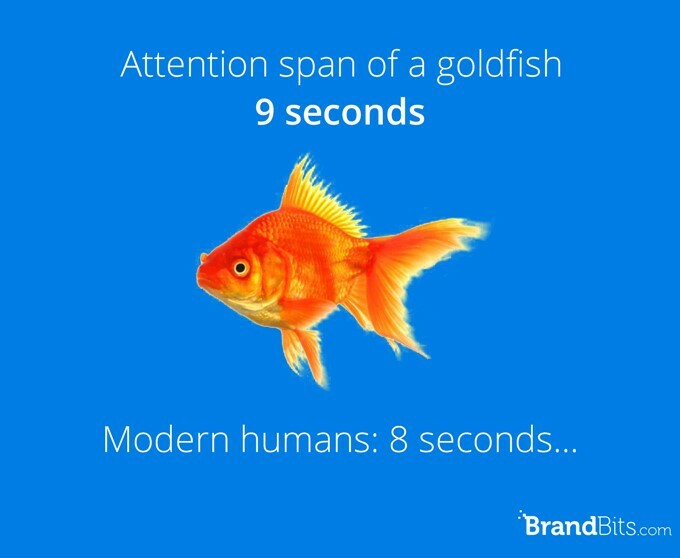 This means that goldfish have a longer attention span (9 seconds) than humans. Now, let’s take a closer look at what makes an online flipbook successful publishing medium and why it works so well with audiences. By creating and publishing a online flipbook, you expose it to the world – or at least to the 3,4 billion people who have internet access. 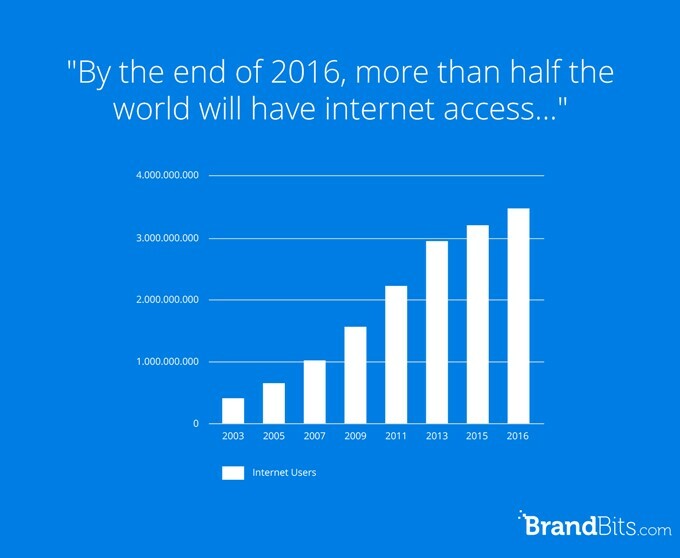 This also means that at the end of 2016, 50% of the world will have access to the Internet. While there are other factors that will determine how visible your online flipbook is online, such as your digital marketing activities or SEO strategy, the fact is there is no upper limit to the number of customers that can be reached. Sounds pretty promising, right? With the right targeting, you could easily double your reader base and spread the word across the web. Furthermore, if someone doesn’t like your flipbook, they’ll just move on. This is exactly why you still win. The materials that you paid for aren’t thrown away as they would be with printed material. PDFs are slow. They take a long time to load because they were primarily created for printing. That required them to be higher resolution. Nowadays this results in a large bulky file, very inconvenient for viewing. In order for the reader to start viewing the pages, he or she must wait for the entire file to load. And it’s important to have your readers hooked within max. 8 seconds, remember? Nobody wants to wait, just to see what the PDF has to offer. 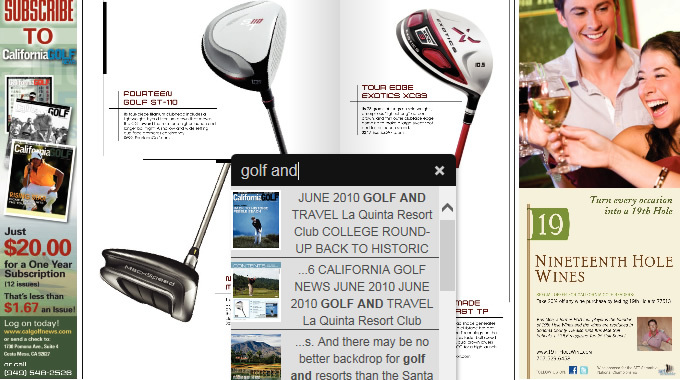 On the other hand, the content in a online flipbook is optimized for the web, making it less bulky. It also displays page one as soon as it loads. While the user reads that, the next few pages are loading in the background. Your readers will feel like the flipbook was downloaded instantly, and they’ll be drawn in right away. By the time the user moves on to the next page, the flipbook is ready to present the upcoming pages. One of the great advantages that online flipbooks offer is the ability to integrate forms. You can lock the content after a certain number of pages, once you have piqued the reader’s interest. Have them fill in their name and e-mail in order to continue reading the flipbook. This is a more successful approach than having them fill in an opt-in form before they even know whether they’re interested in the content. Readers have already seen the quality, their interest is raised, and leads are captured before customers have to hand over their details. Another option would be asking for reader’s details once they finish reading your flipbook by offering a locked content-upgrade. If readers made it to the end, the chances are they are interested enough to want more. As an online medium, a flipbook provides useful stats on how your content is performing. Imagine knowing exactly where your customers’ interest drops off. Or what intrigues them the most? Or how many times they viewed that promotional video? It’s possible. By looking at the statistics of your flipbook you can improve performance of your online content. Not only that, but you can use these stats to improve your printed materials as well. By seeing what gets more attention, you get the insight into a customer’s perception of your material without getting any manual feedback. You can add links throughout the flipbook to products, companies, or any other advertising opportunity you want to take advantage of. By integrating links within your content you influence action. Imagine how much more effort each customer would personally need to put into checking facts or finding relevant resources and products if they were holding a pile of papers in front of them. Some customers may be willing to put in such an effort, but most won’t. With all this information available on the Internet, people are getting lazy. How can you benefit from this? By serving them more related information and helping them reach it with a single click. You could add page links to navigate through the flipbook more easily, insert web links to other relevant resources, promote your own products, or add links on ads. Videos are conquering the world of marketing, so spicing up your flipbook with one is a great option. You can embed them directly into the pages. This enhances the user experience by making the content more interesting than static text. This is also a great way to give a presentation about your company, include real customer testimonials, or even let readers see your own face by offering a personalized message. You can also use video to showcase product features, mention ingredients used in a dish, or show behind-the-scenes production details. You could even give a virtual tour of your facility! 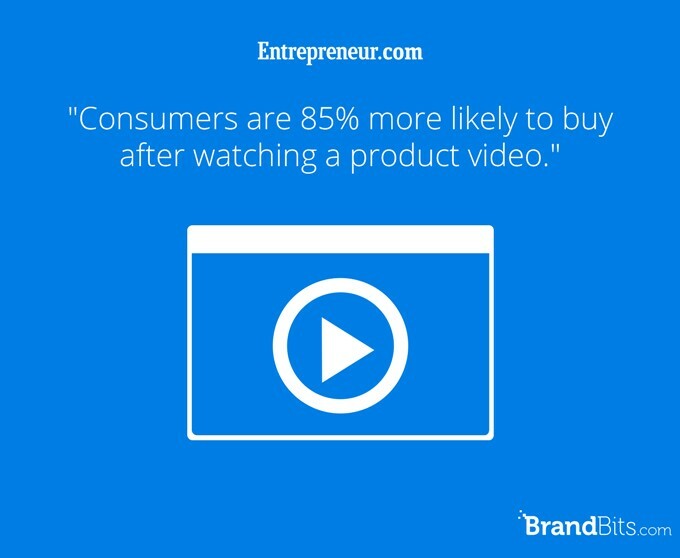 Remember: consumers are 85% more likely to buy after watching a product video. Graphics are another important aspect to consider. Yes, you should definitely integrate video in your online flipbook, but you can’t rely on videos alone. Photos, diagrams, and other graphics capture attention and make content more interesting and engaging. 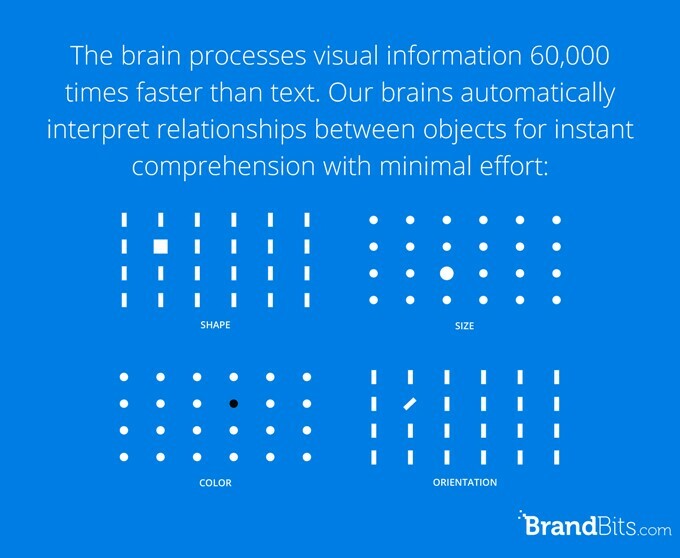 The brain processes visual material 60,000 times faster than it processes text. Visuals help your message get through and tickle the buy button in your customer’s brain. Recent studies indicate readers retain messages better when those messages are delivered in more than one medium. This sets the foundation for future visits and referrals. According to Salesforce, it takes 6 to 8 touches to generate a viable sales lead. Take a look at the diagram below and see for yourself how quickly your eye is able to find variations. Amazing, right? The best thing is that you can easily use this science-based trick in your digital activities and make your online flipbook perform even better. We’d like to go back to a bold but true statement from above: “People are getting lazy”. What’s easier than turning numerous pages and scanning each one of them for the information you want? And what’s easier than scrolling through a whole PDF document just to find that 3-sentence paragraph on page 36? Even though these questions may sound unrelated to business success to an untrained ear, there are professionals in the industry who obsess over these questions, trying to determine how they affect customers and sales rates. The answers may not be precise but they come to this – if too much of the customer’s time is consumed loading and finding what they need, you risk losing their interest. Solutions that greatly reduce time needed for these searches are all included in flipbooks. Your readers can simply fill in their keywords, it will search through your content, and it will show them the pages they’re looking for. There is also zoom, that allows readers to see finer details in images and makes it easier to read small text. According to Google, more Google searches take place on mobile devices than on computers in 10 countries. This data is from 2015, and since then mobile searches have only grown. This means that a majority of your potential customers are going to be on smartphones and tablets. It’s relieving to know that a digital flipbook is perfect for viewing in high quality across all devices. In fact, a flipbook instantly detects the type of device and shows appropriately optimized content. This means that mobile and tablet users won’t have to wait for large files to load and consume their data plan. These users will be the ones to appreciate the speed of loading of the flipbooks the most. Printing costs are pretty high and aren’t likely to drop anytime soon as companies continue to demand these resources. If you are with one of those companies, you’ve probably noticed that as your business grows, so does the demand for printing. Therefore the expenses. We usually consider these business expenses as an investment, but there’s always the risk of spending more than you’re generating with traditional approaches. Maybe it’s time to rethink your strategy and seek a better option. Instead of having to pay for multiple reprints, materials, and distribution, an online flipbook comes with one low, single conversion cost. 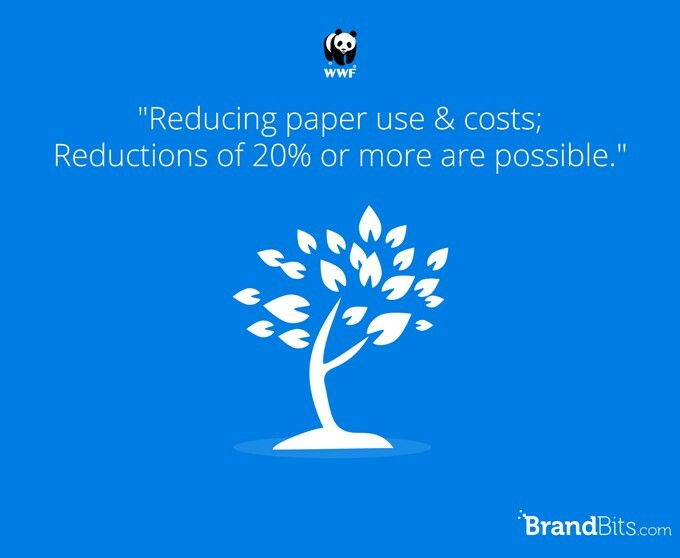 According to WWF, businesses could reduce paper costs by 20% through simple paper-reduction methods. By converting print material to digital media, you no longer need to spend a large amount on printing and distribution. Flipbooks are both a cost-effective and environment-friendly solution. Let’s broaden our focus from the business benefits and take a look at the bigger picture. Caring for the environment by utilizing technology rather than natural resources is the way of the future. Environmental issues affect all of us, and by leaving printing behind you actively participate in the prevention process. By opting to publish digitally instead of using traditional materials, you send a message to your customers, stakeholders, and public in general that your company has the environment in mind. It’s much more society-centered than profit-centered policy. Many leading companies are “going green”. Doing so earlier rather than later builds your reputation as a conscientious leader. This is where things get exciting. How many ways of using online flipbooks can you imagine? 10, 15, 23? Well, there are more. It can be whatever you want it to be: magazines, company brochures, annual reports, presentations. Basically anything that you can save as a PDF. We gathered some examples of companies successfully using flipbooks in different ways to get you in the mood for exploring. 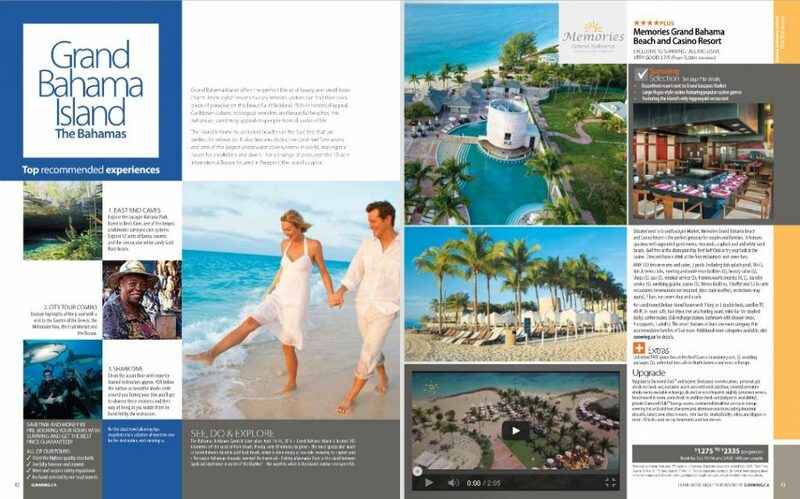 The folks at Sunwing Vacations decided to show off their services by publishing a brochure as an online flipbook. They used a combination of text and photos to trigger emotions and tell the story. Throughout the story, they integrated links to the resorts they advertise. They included occasional videos to draw their customers into a more personal experience before making any purchases. 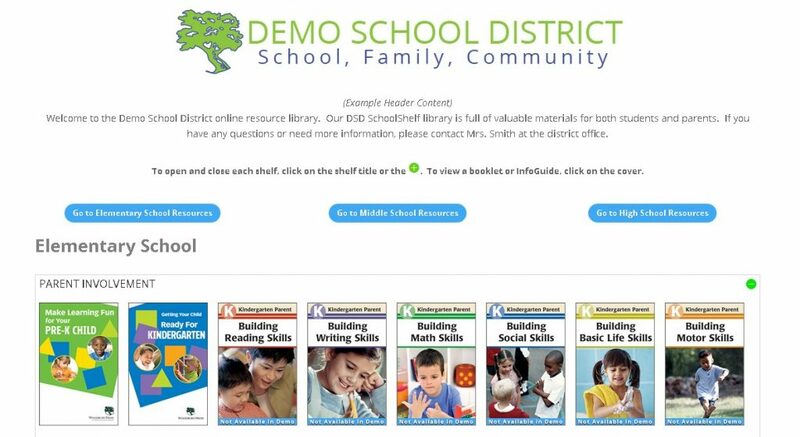 SchoolShelf created a whole website as a virtual library, filled with digital flipbooks on their “shelves”. They didn’t use flipbooks to advertise their service; their service is flipbooks. When you click on the desired subject, the flipbook loads instantly. Designed in a simple way, it’s easy to read and navigate. It also maintains a high resemblance to traditional textbooks. 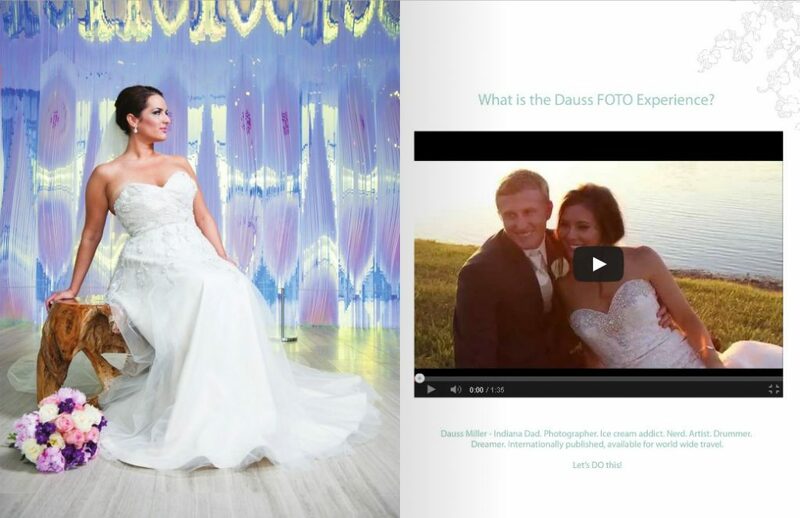 Dauss FOTO created an exceptional portfolio by including an inspirational product video midway through the brochure. This video is much more than a product ad. It offers a sneak-peak behind the scenes, with satisfied customers sharing personal insights, and exhibiting the photographers’ efforts in creating perfect wedding photos for their clients. Readers get a real taste of the Dauss FOTO experience before purchasing. At the same time, they get to see friendly relationship that company nurtures with its customers. 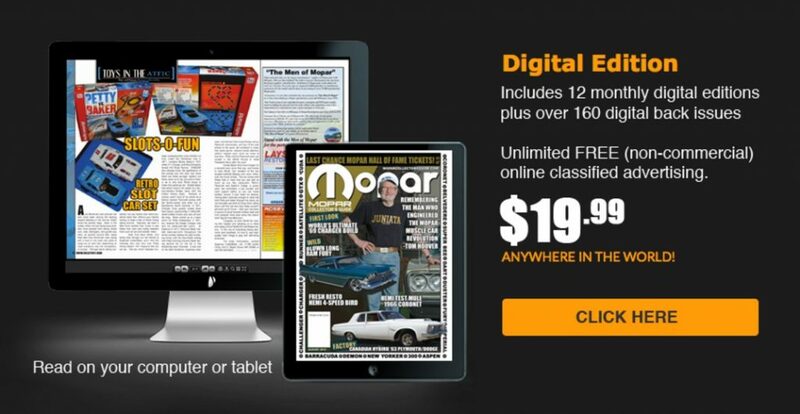 FDNY Foundation and Mopar Collector’s Guide magazines made their yearly subscription service accessible in the form of online flipbooks. These two companies built their entire membership and payment systems on flipbooks, making their magazines instantly available to a larger customer base in a way which wouldn’t be possible with traditional-printing subscription plans. They also offer access to back issues for a fee. They even went the extra mile and converted all previous years of publications into online flipbooks. Their readers can go back and explore issues from prior decades any time they want. This is far more efficient than the process of requesting an old back issue of a printed magazine. The thing is, you don’t have to. The first step to take would be improving your printed materials with digital flipbooks. Replacing could come later and doesn’t happen overnight. Now, this is exactly what distinguishes successful business leaders from the dozen who keep making excuses. Smart leaders are not afraid to make changes. They are not afraid to try out new, promising approaches. They are ready to change their culture and habits if that’s what it takes to stand out from the competition. OK, you probably didn’t create your content for babies as a target audience, but let’s think about it for a second. As technology sneaks into all areas of our lives, more and more people rely on it when it comes to buying decisions, travel planning, even medical consultations. Technology is creating a new culture for all of us, and therefore a new base for business owners and marketing people to find customers. Online flipbooks are becoming a new trend in online reading, regardless of the project size you have in mind. Can you afford to miss out on the opportunity? We hope you find this article useful if you are exploring opportunities in digital publishing or looking for ways to transform your already published content into a winning format. In fact, BrandBits has been known for helping businesses of all sizes create their very own flipbooks, just like we did in the above-mentioned examples. If you’re still not sure whether to take action or not, you’re welcome to create your trial flipbook for free here: https://www.brandbits.com/flipbook.php and decide for yourself.